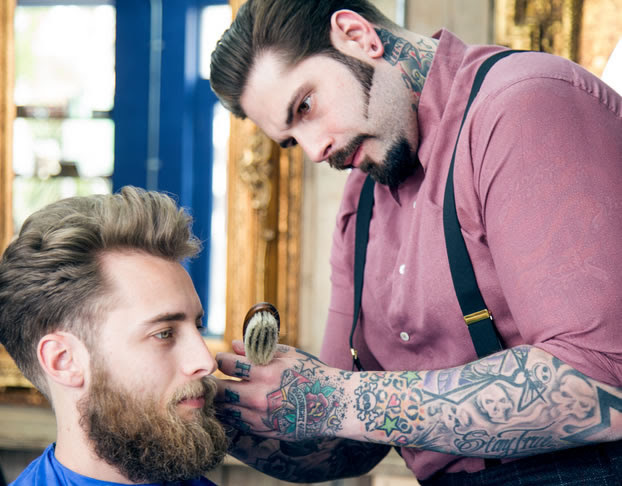 With 52% of male consumers considering their appearance to be either important or very important, the male grooming market is rapidly evolving, with cosmetic sales predicted to reach a staggering £121 million by 2018. 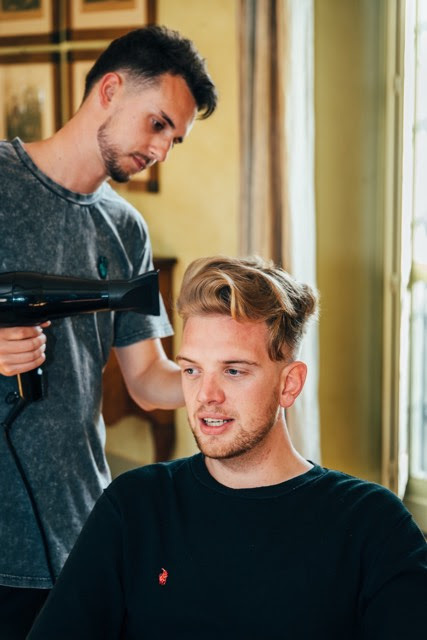 Brands have recognised the growing market and the need for male-specific products that allow customers to feel comfortable in the beauty aisle. Despite male grooming being socially accepted, it’s still important for it to be considered a masculine activity, (something companies must remember if they want their products to fly off the shelf). Well we may have the answer…. The Gentleman’s Grooming Show 2016 is an event celebrating the modern man and male grooming – showcasing the industry’s very best products and services on offer, and hope to guide, inspire and educate you, the modern day gentleman. Then come along to London’s Tobacco Dock for The Gentleman’s Grooming Show on Saturday 3rd December 2016. You’ll get a complimentary glass of whiskey, and some key advice on how to keep yourself well-groomed all through 2017. The Gentleman’s Grooming Show will showcase some of the best brands and companies in the men’s grooming and lifestyle world. If you are a modern day gentleman and like to look good, feel good and smell good then you wont want to miss out. A chance to meet the expert teams behind some of the best men’s grooming & lifestyle brands in the world, giving you a great opportunity to gain some key advice and a chance to purchase the products. Treat yourself or pick up some Christmas gifts for loved ones. Talks & Demos: Pop over to the main stage and enjoy talks and demonstrations from industry leading figures and celebrities including Charles Fencott, Josh Lamonaca and Richard E Grant! Details of our final stage line up will be announced shortly. Tickets for the Gentleman’s Grooming Show 2016 are now on sale. Order yours using the link below or call +44 (0)207 267 4843 to speak to a member of the Gentleman’s Grooming Show team. High Street Gent will be there on the day, to meet and report on all the goings on over the past year and what we have to look forward to in the male grooming world in 2017. You can expect a raft of articles from us post-event, in the hope we can help you remain looking fly. Maintaining & taming your beard! A full and well-groomed beard is a point of pride for a lot of guys. Especially in recent times beards have become quite the fashionable trend among modern men. However, achieving a proper beard is not that simple, and just growing out a beard without much grooming is just going to be you looking like a hobo or something! So there are a few tips and tricks you should know if you want to achieve a proper manly beard without looking scruffy! The first little while of growing out a beard can be the hardest for some, due to the itchiness that comes with the short hard hairs of your stubble. Just hang in there, after a while the itchiness goes away as the hairs become longer and softer. Let your beard grow out a little before you start to trim and shape it. Even if you want to wear your beard short and close to your face, it is recommended that you let your beard grow approximately and inch or an inch and a half before you start shaping it. Not everyone can grow out an awesome beard. Unfortunately genetics gives some of us scraggly and patchy beards, instead of the full mountain-man type beard. So be realistic about what you can grow and cannot grow. If you are a little unsure of how to exactly trim your beard the best way, consider going to a professional barber that can do it for you. 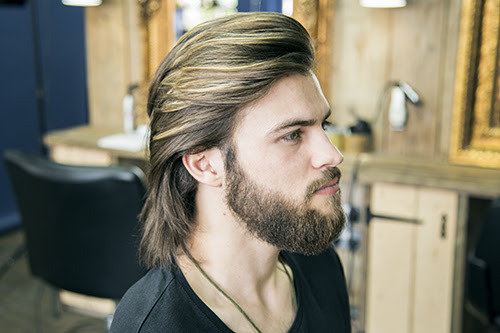 Not only will they be able to give you an awesome trim, but they can probably even give you some tips on how to maintain your specific beard (as everyone has different hair types and facial features). If you decide to go the DIY route for maintaining your beard, you need to make sure you have the right tools available. Using a rusty old pair of scissors is not going to do it! Consider getting a decent electronic beard trimmer. 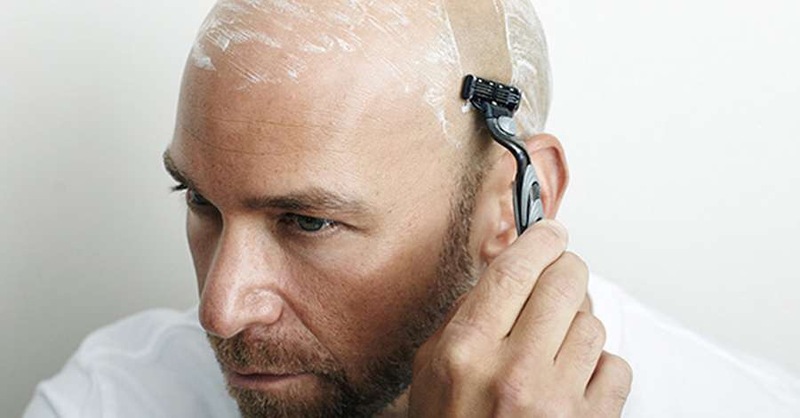 A beard trimmer’s clippers will allow you to more accurately trim and shape your beard while also cutting your beard to a specific length. I recommend getting the rechargeable cordless beard trimmers. They might be a little pricier than other options, but in the long run you will be glad you made the investment! You should also consider getting a good comb to comb your beard with. For your beard a wide-toothed comb is best (as your beard hair can be thick and coarse), while if you have a mustache that you want to keep neat, a fine-toothed comb will be the right option. When you trim your beard, be careful to do it when the hair is still wet. Wet hair can look a lot longer than when it is dry. So the best would be to rather trim your hair once dried. Your beard and your jaw should work in tandem to achieve a nicely graduated, oval shape. 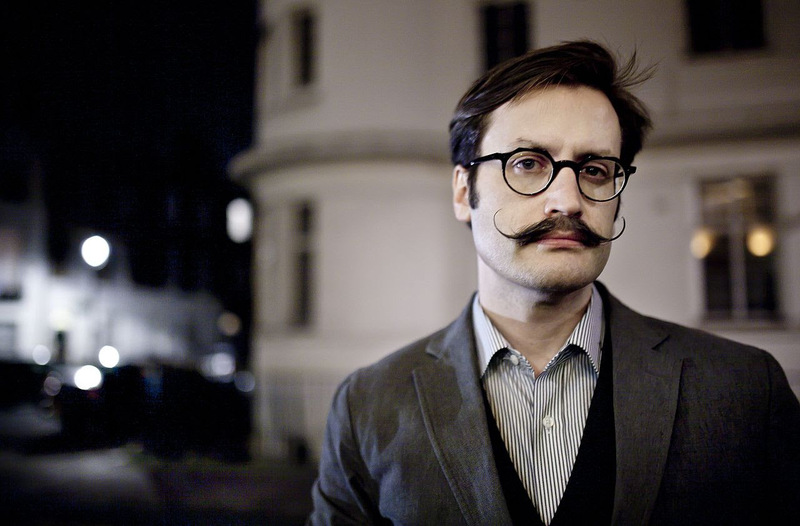 If you have a square or round jaw, you’ll want to grow your beard fuller on the bottom to elongate your face. If you have an oblong or rectangular face, you’ll want more hair on the sides while avoiding more length beneath the chin. Beard hair is hair too, so shampoo and condition! Just like you would do with regular hair, you should shampoo and condition your beard hair. A mild shampoo is usually easier on your skin. After shampooing, go over to the conditioner to get a softer feel on your beard. Be sure to rinse thoroughly in order to avoid flaking. Avoid blow drying your beard as the warm air will dry out your skin. Instead you should rather use a dry towel to wipe and dry your beard. 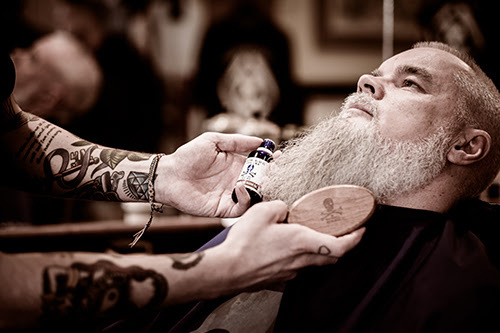 If you really want to get your beard soft and shiny, you should invest in some good beard oil. 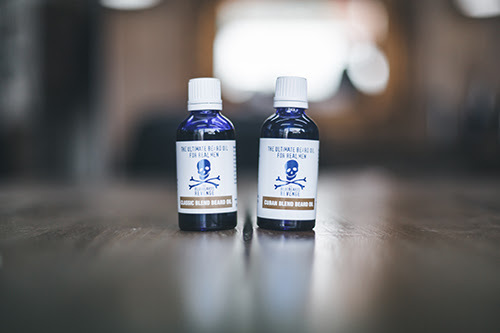 There are a bunch of different beard oil options out there, and you can even get recipes off the Internet to make your own if you really wanted to. So experiment with some beard oils and see what you like best. You should comb and brush your beard on a daily basis to untangle hairs and to also train them to grow in a specific direction. This will help you to maintain a specific shape for your beard. A great beard is a thing of beauty! But it takes commitment and discipline to get a truly great beard that looks good and feels good. I hope the above tips helps you in your quest for your ultimate beard! 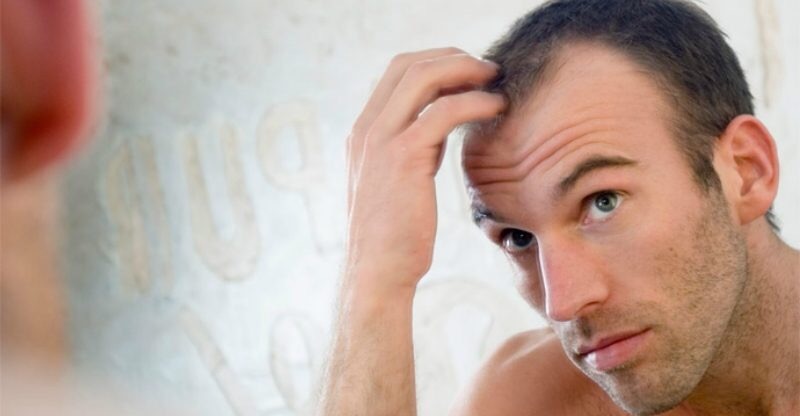 This article was provided by manomics.com, a blog specifically catering to mens’ lifestyle topics around grooming, health and fitness. Bargain hunter? Strapped for cash? Saving up for that expensive suit? Contrary to popular belief, you can still look after your skin and hair without having to spend a fortune. Over the years I’ve been fortunate enough to try thousands of male grooming products, from the ridiculously cheap to the ludicrously expensive. And, truth be told, in many cases inexpensive products are just as good as (and sometimes even better than) those that cost ten times as much. The trick isn’t to spend a fortune on a thousand different products, or to lock yourself in the bathroom for hours at a time. Rather, you should develop a daily routine that is quick and simple. At TOPPBOX, they’re here to simply introduce you to great products from top brands at the comfort of your own home. A review may help you make your mind for a purchase, but a personalised TOPPBOX will give you the opportunity to discover products you love. It’s time to rock a great routine with male-specific products, keeping the masculinity in your grooming activity. Their mission is simple. To find the right products for your routine so you can look good, feel great and smell even better! With TOPPBOX it’s easy. Receive a personalised assortment of travel and full sized products covering all aspects of your grooming and skincare routine. You can expect to be introduced to hair styling, skincare, beard care, anti-ageing, fragrances and many more products, all selected specifically to match your profile. They use Royal Mail and dispatch your first box in 2/3 days of dispatch and renewal boxes will be dispatched on the 15th of each month. The box is really neatly designed and looks great, it even slides through every standard letterbox, so you don’t have to trek to the sorting office on a Saturday! Your 1st box will feature a travel sized assortment of four top-shelf grooming and skincare products, ranging from masculine skincare to woodsy cologne. Your 2nd box will feature an assortment of three travel sized and one full sized product, covering all aspects of your grooming and skincare routine. Your 3rd and final box will feature an assortment of three travel sized products and one full sized product, helping you discover products you love. No two guys are alike, so your box will be tailored to suit your personal style. By filling out your Grooming Profile upon subscription, you’ll enable us to pick the products that are right for you. You’ll then be taken to the next page, where the fun really begins. Each box is personalised for YOU. Each and every detail is thought about, so if you have a certain skin type, any irritations or even dry hair, it’s being tailored for you, so you’ll have no problems. TOPPBOX will literally become your best mate in the bathroom. It really does make you consider whether what you’ve been using for all this time has been worthwhile! Some of the above we’d never even thought their was an option for…I guess it’s why TOPPBOX are a sensible choice. 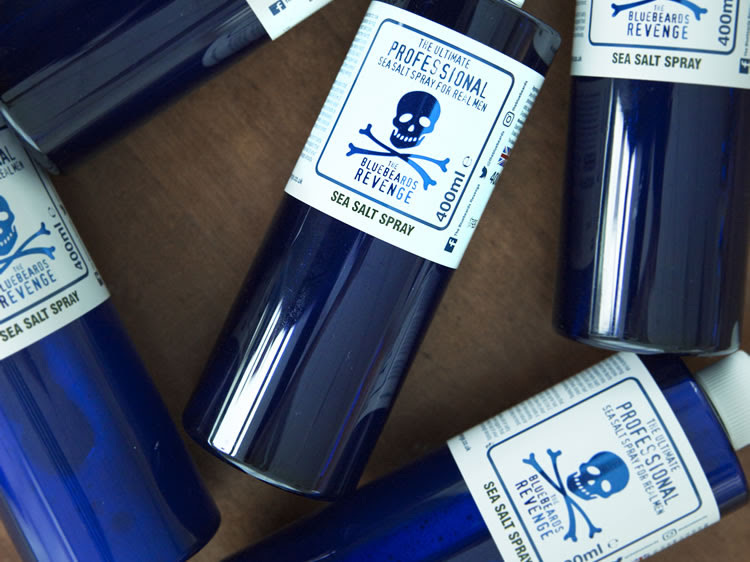 The Blue Beards-Revenge – Matt Paste: A quirky little pot, perfect for taking on holiday of hair paste. The consistency of the paste style my hair well and help relatively well all day. [Full size: £9.99, 100ml]. We also got a small 5ml bottle of GRUHME No.14 aftershave: it’s perfect to have in your work bag to spritz yourself before a meeting. It’s a perfect scent as well. It would be described as aromatic wood accord with top notes of juniper berry, organic black peppervorn, bergamot, lemon and cedar…how fancy! [RRP: Full Size 100ml £45.00. Use code TOPPBOX at the checkout to get free shipping]. TOPPBOX is great if you’re buying for yourself or even as a gift. We’re sure every man need people, like those at TOPPBOX, making up packs for us to look our best. For more details on pricing, delivery and brands that are used, head over to toppbox.co.uk. Drop TOPPBOX a follow on Twitter & Instagram. Here’s what happened when our personalised TOPPBOX arrived….